I love making newsletters. For those of you who followed me on the World Race you may remember I made newsletters every month before I left, however, once the race started our schedule became to hectic to continue (plus I didn’t have the program with me). This time’s a little different though. 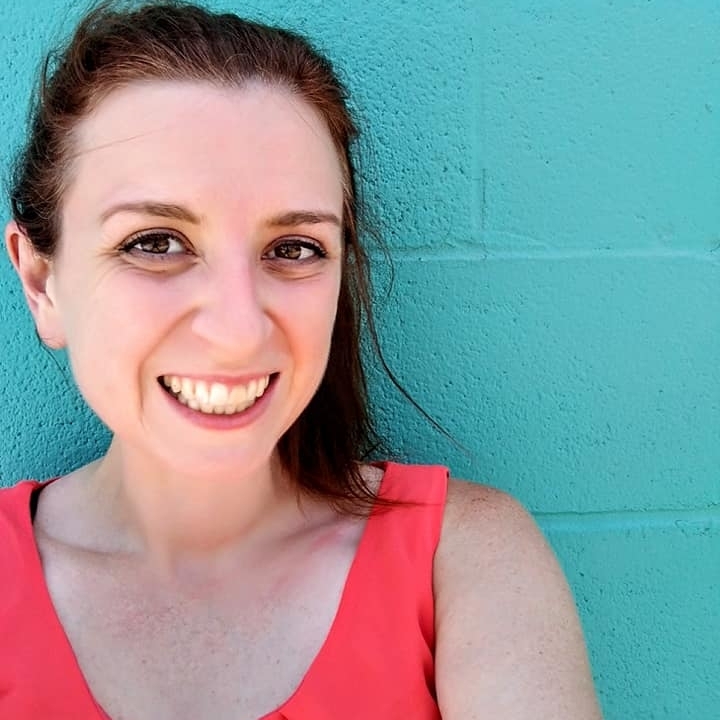 I’m excited for a slightly calmer missionary life and I’m looking forward to sharing awesome things God is doing both on this blog and through newsletters through every month of my ministry. So check out my first newsletter for September! It features stories, fun facts, my fundraising progress and so much more! The newsletter is in PDF format so click this link and it will download to your computer! *Note: The photo below is just a screen shot a not the actual newsletter. On another note. I used my parents Microsoft publisher program on their PC to make this newsletter because I have a Mac and Publisher is not available for Mac’s. 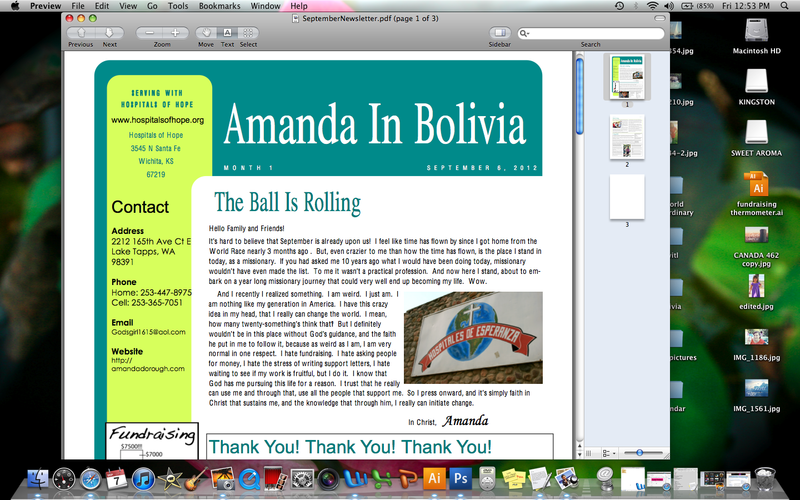 To continue making newsletters once I leave for Bolivia I will need to download “Pages,” a Apple program similar to Publisher as well as the new Mountain Lion operating system (the current version of Pages cannot be used with my current operating system). Together these programs cost $40. If you would like to help me continue making newsletters throughout my time in Bolivia by helping me purchase these programs let me know! Categories: Bolivia, Fundraising, Hospitals of Hope, I need help!, Newsletters | Tags: Amanda Dorough, Bolivia, Cochabamba, Fundraising, Newsletter | Permalink.